These clipboards look really interesting and are a cool way of separating your paperwork and tasks. 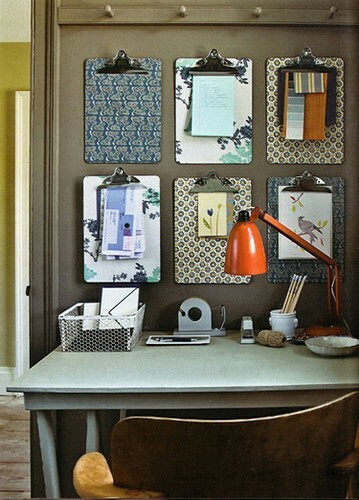 By filing things using color or pattern it helps you keep organized without the necessity of labels. I can imagine using this patterned paper to create an awesome matte around photos as well.